How come? Yes, it is a logical question. I home my answer will also meet logical criteria. I am perhaps the only one on this planet, at this point of time that is thinking of calling Yahoo! UI library from WordPress theme. 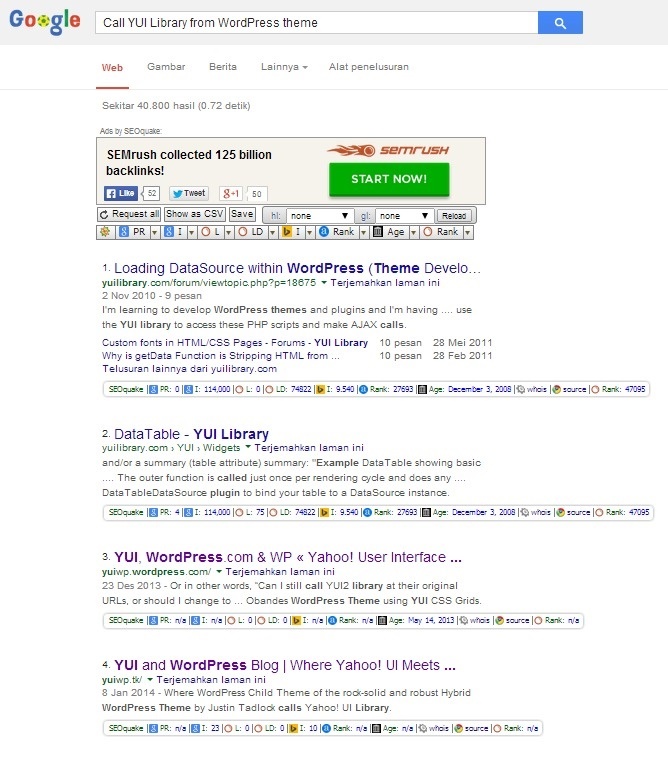 I have read various articles on this topic “WordPress and YUI” or “YUI WordPress” but no luck. You can see on the list per 19 Junie 2014, my two previous WordPress Blogs List number 3 http://yuiwp.wordpress.com/ and list number 4. YUI and WordPress Blog. That says it all. Not so many, or more extreme, basically nobody is talking about this topic so far. I hope that is not the case after I publish some blogs here with this topic: YUI and WordPress. I definitely can try to call YUI Library from any WordPress theme available on this planet, however, I have chosen the rock-solid, most comprehensive and user-friendly WordPress Theme Framework that I have come across so far called “Theme Hybrid” by Justin Tadlock. And I tell you what, I have made the perfect decision. I have been fiddling around on expanding this core theme without any significant difficulty as I have faced when trying to do the same from different WordPress theme frameworks that are around. I am grateful that I met Justin Tadlock, well met his product, and of course, Online some years ago, since he was just producing a WordPress theme that he called “Options” WordPress theme. I hope I will continue to develop my Hybrid child-themes by utilising this great Hybrid Core Framework and Hybrid Theme.